Happiness is a personal choice that comes from within. You have to really want it to be, heck you have to manifest it into your life. You deserve to be happy, I mean, who doesn't? Why shouldn't you be happy? Always make the CHOICE to be happy no matter what. Seek happiness out in all things. 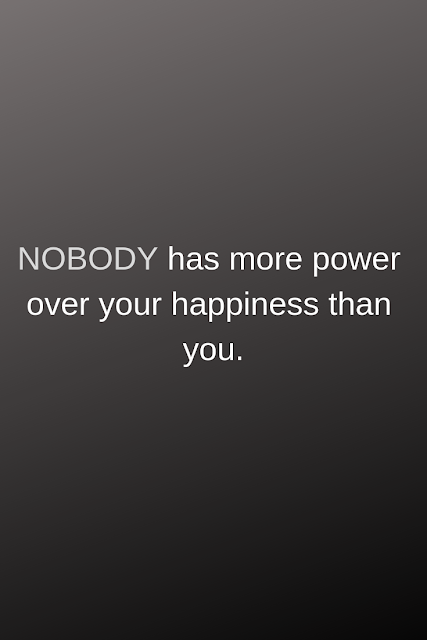 Don't let other people think that they have power in your decision to be happy. They don't. You have the power to be happy, all you have to do is use it.